DAN GREER BEALE STREET SOUL MAN. When someone finally writes the definitive history of Memphis Soul, Dan Greer’s name should loom large. Dan was a singer, songwriter, producer and head of A&R at the Sounds of Memphis label. It’s no exaggeration to say Dan Greer was one Memphis’ most talented songwriters and producers. He worked with some of the giants of soul music. James Carr, Wilson Pickett and Candi Staton, not forgetting The Ovations and then, later, Chaka Khan during his long and illustrious career. However, while most conisseurs of Southern Soul are familiar with Dan’s career as a songwriter and producer, they may not be aware of his recording career. During his time at Sounds Of Memphis, Dan Greer was a prolific recording artist. Sadly, Dan’s music was never released. Instead, it lay unheard and unappreciated in Sounds Of Memphis’ vaults. Then when Kent Soul started rereleasing Sounds Of Memphis’ back-catalogue, two Dan Greer tracks featured on the Sounds Of Memphis’ compilation. Suddenly, people realized there was much more to Dan Greer that his work as a songwriter and producer. So did the good people at Kent Soul. Compiler Dean Rudland compiled a collection of twenty-two of Dan Greer’s recordings. Released as Dan Greer Beale Street Soul Man, on 27th May 2013, on Kent Soul, at long last, Southern Soul fans were able to discover one of Memphis’ best-kept secrets. 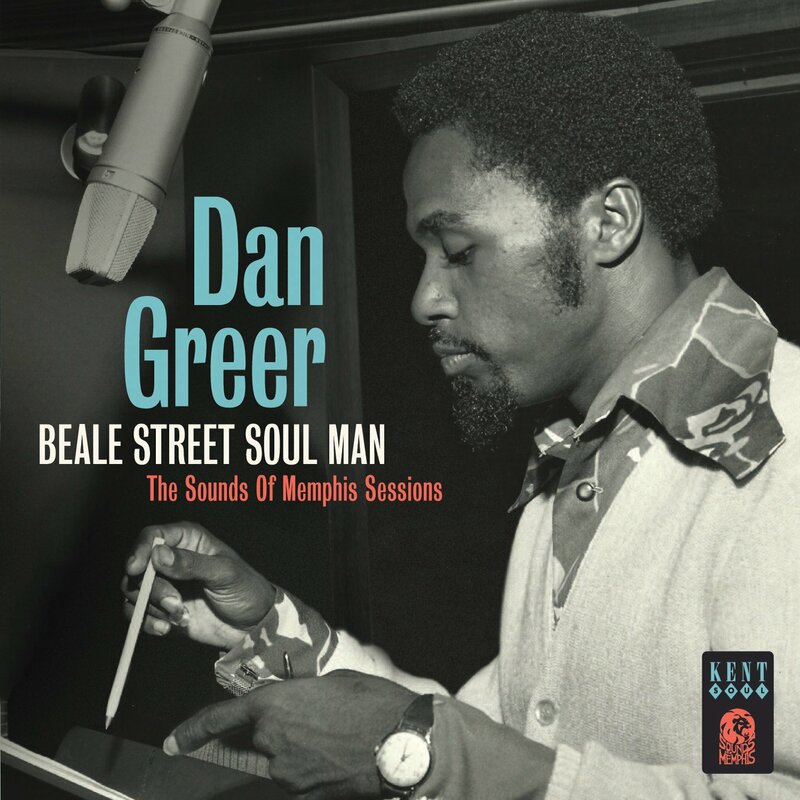 Before I tell you about some of the highlights of Dan Greer Beale Street Soul Man, I’ll tell you about Dan Greer’s career at Sounds Of Memphis. Having settled in Memphis, Dan and his mother joined the local church. Soon, they were singing in the local church. Meanwhile, Memphis was vibrant. It had a thriving musical scene. This was when Beale Street was thriving. Providing the soundtrack were B.B. King, Bobby “Blue” Bland and Junior Parker. Memphis was alive and Dan Greer was absorbing this melting pot of musical styles. However, it was at school that Dan met what be some of the next generation of great Memphis musicians. When Dan attended Leath Elementary School, he met Louis Williams, the future lead-singer of The Ovations. They forged a lifelong friendship. Then at Booker T. Washington High School, Dan met what reads like a who’s who of Memphis music. William Bell, Maurice White, David Porter and Homer Banks. That’s not forgetting The Mad Lads and the Wiggins’ brothers Percy and Spencer. Thankfully, the pupils indisputable musical talent was encouraged. By the time they left school, the next generation of Memphis’ musicians were about to play their part in one of the most successful eras in the city’s musical history. Although other nascent musicians embarked upon musical careers, Dan studied art in Holy Springs. He didn’t give up music though. Instead, his music career was part-time, running parallel with his studies. Then once his studies were finished, Dan returned to Memphis. First stop was Stax, where he spent some time. While he didn’t record any music, he was using the experience to learn about music and the music business. After leaving Stax, next stop for Dan was the Fleetwood Studio, where he recorded his first song. Owned by Slim Wallace, Fleetwood Studios had been built on the proceeds of Thomas Wayne and The DeLons million-selling single Tragedy. At Fleetwood, Dan met Scotty Moore. The pair recorded a single Old Beale Street, which although it wasn’t a commercial success, started Dan’s recording career. Not long after that, Dan met George Jackson at Fleetwood. This would be someone that would play an important part in Dan’s career. Especially at Sounds Of Memphis. Before that, Dan’s career would take a few twists an turns. By now, Dan was embarking on a career as a singer and songwriter. Working with producer Dorothy Hester he recorded two singles. He also released a further two singles for Nashville label Dot. During this period, Dan was working as a songwriter for Goldwax Records. His songwriting partner was George Jackson. They penned tracks for James Carr, Spencer Wiggins and The Ovations. While Dan and George forged a potent songwriting partnership, it was one that didn’t last. In 1966, Dan Penn decided to leave FAME Records. He decided to join Chips Moman at American Studios. For Rick Hall, owner of FAME, suddenly, he found himself looking for a new songwriter. Hearing good things about George Jackson, Rick Hall signed him to FAME. Now Dan Greer was sans a songwriting partner. This prompted a change in career for Dan. Rather than look for a new songwriting partner, Dan decided to concentrate on his sign-writing business, DSigns. He still wrote songs and released the occasional single. Another venture was production. Dan produced Marjorie Ingram’s singe A Good Man Is Hard To Find. It was released on Burnett Records, a New York label, owned by Eugene Bennett. He was an admirer of Dan’s work, so pointed him in the direction of Ode Records, who released Dan’s single Curiosity Killed The Cat. Sadly, the single wasn’t commercially successful. Despite this, Ode Records decided to release an album by Dan. So rather than record it in New York, Dan recorded it at Sounds Of Memphis’ studios, which was owned by Gene Lucchesi and Mike Curb, who just so happened to be president of MGM. Gene Lucchesi’s family were originally in the liquor trade. Their’s was the biggest company in the mid-west. Profitable though liquor was, Gene realized there was money to be made in music. So Gene founded several labels and publishing companies. One of the labels was XL Records. In 1965, it released a novelty single by Sam The Sham and The Pharaohs, Wooly Bully, which worldwide, sold several millions copies. Sam The Sham and The Pharaohs released several more hits, which were distributed via MGM. With the profits, Gene invested them into a cutting-edge recording studio. Even though Gene had the latest equipment, he neither had an A&R man, nor a songwriter. That is, until Dan Greer arrived on the scene. Dan filled a huge void. Not only was he a songwriter, but he was producer. Then when he’d time, he was a recording artist. Sadly, none of the songs Dan Greer recorded at Sounds Of Memphis has ever been recorded, that is until Kent Soul released Dan Greer Beale Street Soul Man, which I’ll pick the highlights of. Shell Of A Man, which has never been released before, is my first choice from Dan Greer Beale Street Soul Man. From the opening bars, when the song explodes into life. George’s vocal is equal parts hurt and heartbreak. It’s filled with emotion and delivered with power and passion. Matching George all the way, are the rhythm section and Hammond organ. They provide a dramatic and emotive backdrop for George’s heartbroken Magnus Opus of a vocal. Take A Look At Yourself is a very different song. It shows a different side to Dan Greer. His versatility as a songwriter shines through. Similarly, it demonstrates how he can breath life and meaning into a song. This is a song whose roots are in the church, with its almost judgmental lyrics. Here, almost Dan takes on the role of preacher and moral arbiter, albeit a soulful one at that. I Love You But You Don’t Love Me has a much more understated and pensive arrangement. This suits the lyrics, which if you listen carefully, are written from a woman’s point of view. That’s the way Dan sings it. Just a piano, percussion and subtle rhythm section, Dan’s vocal takes centre-stage. George defensively delivers the lyrics, protesting at the accusations made against his cheating woman. Protective, anger, frustration and emotion fill his vocal, but deep down, he knows he’s only kidding himself. Of all the songs on the compilation this is one of the best and most moving, by far. Washes of Hammond organ and rhythm section open Bless You, while George combines power, passion and sincerity. With the Hammond and piano key to the arrangement’s sound and success, it’s a potent partnership. The third member of this triumvirate is Dan. As memories come flooding back, his dramatic vocal is laden with passion and sincerity. As Dan sings: “Bless You.”George’s vocal is heartfelt, and sometimes, takes on a spiritual quality. Listening to Dan Greer Beale Street Soul Man, Dan’s at his best on the slower songs. This is the case with How Does It Feel. Again, the arrangement is understated, with keyboards and rhythm section accompanying Dan. Having set the scene, Dan unleashes one of his best vocals, one that’s bristling with emotion, hurt and disbelief. What Good Is A Man is another of the slow songs. Just chiming guitars, piano and rhythm section accompany Dan’s half-spoken vocal. It’s world-weary, as if he’s lived the lyrics. Then when he unleashes his vocal, pathos and irony are ever-present, as if: “What Good Is A Man,” was the last thing his girlfriend said, as she headed for the door. You get the sense that having learned from experience, and the hard way, Dan won’t this mistake again. Mistaken Identity has a jaunty, upbeat arrangement.Piano, rhythm section, complete with guitars which answer Dan’s call, provide the backdrop for his powerful vocal. Dan kicks loose, while protesting his innocence. Using the familiar defense of: “Mistaken Identity.” As Dan pleads not guilty, his vocal mixes power, passion and pain, while, like Dan, his tight, talented band demonstrate their versatility. My final choice from Dan Greer Beale Street Soul Man is When Will It All End. This is a track with a real Southern Soul sound. Washes of Hammond organ and rhythm section accompany George’s impassioned, powerful vocal. Backing vocalists sweep in, adding to the drama and Southern Soul sound. Then Dan plays the role of a son questioning his father. When Dan replies, his lyrics are full of social comment. He rails against the Vietnam War and pollution. His frustration at his inability to change things leads to anger and a sense of hopelessness. All this wells up, and spurred on, Dan delivers one of his most impassioned and effective vocals. That most of the songs on Dan Greer Beale Street Soul Man have lain unloved and unreleased in the dusty vaults of Sounds Of Memphis is almost unjust. These songs deserved to be heard long ago. Indeed, when they were recorded, these songs should’ve been released. Dan Greer deserved better. Maybe, if they’d been released, and Dan’s career had taken off, then he’d have given up his job as songwriter, producer and A&R man at Sounds Of Memphis and XL Records? Or maybe Dan was happiest working with other artists. Maybe Dan Greer was a reluctant soul singer. That’s not unheard of. Whatever the reason, the important thing is that, at long last, Dan Greer’s music is available for the first time. The people responsible for this are Kent Soul and compiler of Dan Greer Beale Street Soul Man Dean Rudland. They deserve every credit for doing so. Now when people mention Dan Greer, they won’t just refer to him as a songwriter and producer. No. Now they’ll refer to Dan Greer as a multitalented singer, songwriter and producer, thanks to the release of Dan Greer Beale Street Soul Man. Standout Tracks: Shell Of A Man, Take A Look At Yourself, How Does It Feel and What Good Is A Man. ← BLUESIN’ BY THE BAYOU.